Mr. Evans is a shareholder/principal of the present firm and serves as corporate secretary. He received his undergraduate degree (BA) from Amherst College in 1953. He graduated from Harvard Law School (LLB) in 1956. He was on active duty in the U.S. Army from October 1956 to July 1958, working as an attorney in the office of the Judge Advocate General at Ft. Gordon, Georgia. After a short period of employment as an attorney in the trust department of City National Bank in Detroit, he joined the Detroit firm of Benjamin H. Long. From 1959 to 1971 he continued as a member and then a partner of that firm, which changed its name to Long, Preston, Evans and Kinnaird. Mr. Evans, with Peter and Philip Vestevich, and James Dritsas, formed the Bloomfield Hills firm of Vestevich, Dritsas, Evans & Vestevich in 1972. Mr. Evans continued with that firm until 1991, when it merged with Dahlberg, Mallender and Gawne, a firm with a history in Detroit and Oakland County dating back to 1846. 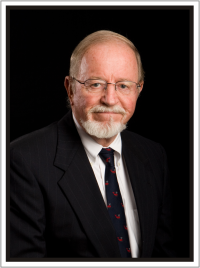 Mr. Evans has always practiced in the areas of contracts, business law, wills and trusts, and estate planning. Until recently, he also engaged significantly in civil litigation; currently he refers such matters to other capable litigators within the firm. Mr. Evans also has experience in health law matters of various kinds. His appellate practice has resulted in some noteworthy Michigan decisions, e.g. Opdyke Investment Company v. Norris Grain Company, et al, 94 Mich. App 770 (1979), 409 Mich 896 (1980), 413 Mich 354 (1982). Mr. Evans graduated from Detroit Country Day School. He served as a trustee of that private secondary school for approximately ten years. He is active in First Presbyterian Church of Birmingham, Michigan and is currently a Deacon in that church. For many years he has been a member and officer of Rosedale Community Players, a local community theater group. He is a member of the State Bar of Michigan and its Probate and Estate Planning Section, and Health Law Section. He is a member of the American Bar Association and its Real Property, Trust and Estate Law Section.